'Our era is one of theological and moral confusion, even of apostasy. And the apostle summons us, as he summoned Timothy, to be strong, brave and steadfast.' In this way John Stott summarizes the message of Paul's second letter to Timothy, a letter about leadership and responsibility. The inductive studies in this guide speak to all who would stand for Christ in a world of slippery, relative truth. Our call is to bring the only real, solid Word of grace and truth to a world without hope. 2 Timothy : John Stott Bible Studies by John R.W. Stott was published by Intervarsity Press in September 2008 and is our 10358th best seller. The ISBN for 2 Timothy : John Stott Bible Studies is 9781844743223. 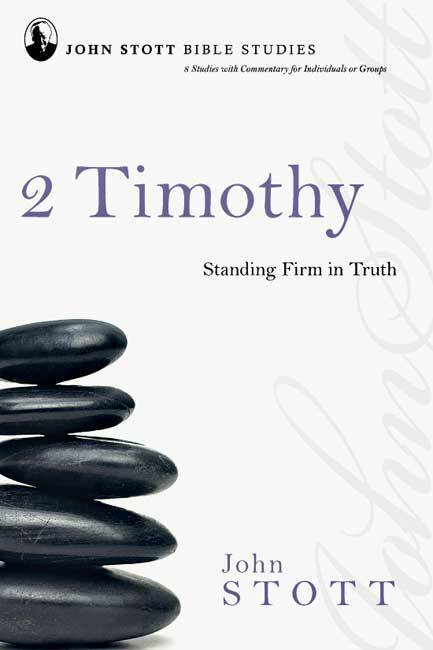 Be the first to review 2 Timothy : John Stott Bible Studies! Got a question? No problem! Just click here to ask us about 2 Timothy : John Stott Bible Studies.